NEW DELHI – India has offered to provide help with energy and agriculture in response to a request from visiting Myanmar leader Aung San Suu Kyi for cooperation in building infrastructure in her country. 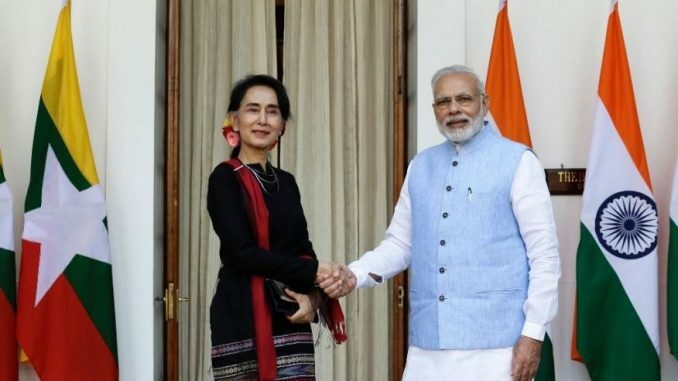 Indian Prime Minister Narendra Modi met with Suu Kyi in New Delhi on Wednesday and also offered help in restoring pagodas damaged by a recent earthquake in Myanmar. Modi said the two countries have similar security concerns and have agreed to work in close cooperation along their borders. Suu Kyi also sought the help of India’s private sector, saying the people of Myanmar look forward to progress and improvement in their lives. Her three-day visit to India ends later Wednesday.